NO. 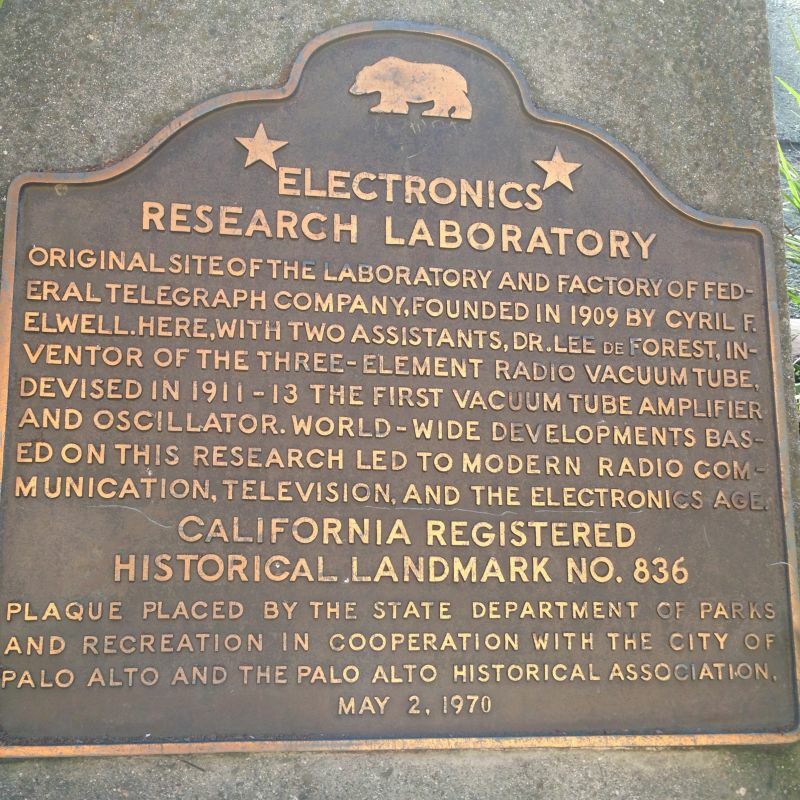 836 PIONEER ELECTRONICS RESEARCH LABORATORY - This is the original site of the laboratory and factory of Federal Telegraph Company, founded in 1909 by Cyril F. Elwell. Here, Dr. Lee de Forest, inventor of the three-element radio vacuum tube, devised the first vacuum tube amplifier and oscillator in 1911-13. Worldwide developments based on this research led to modern radio communication, television, and the electronics age. 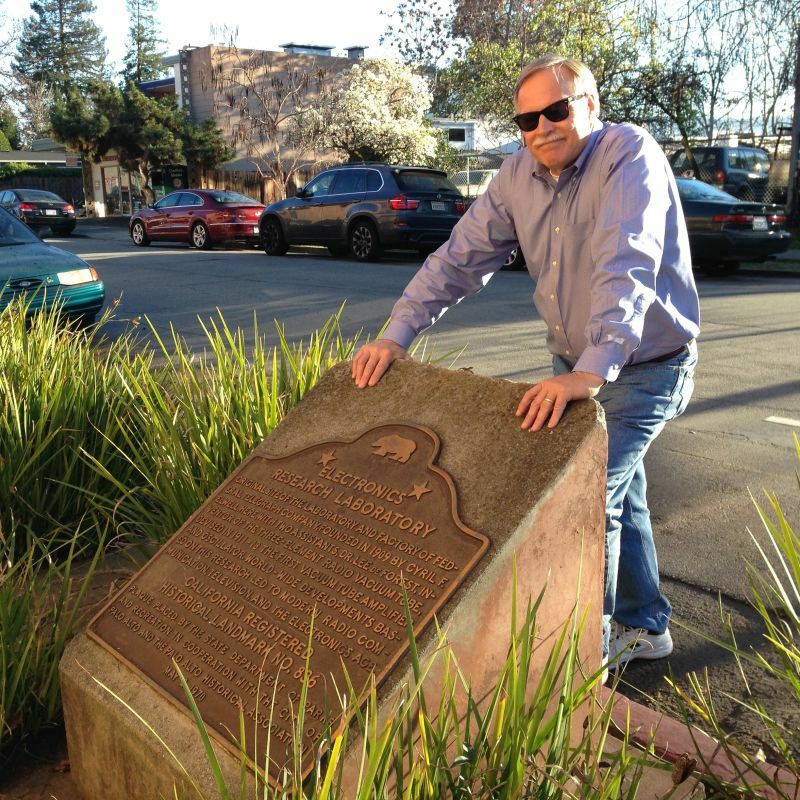 Use old address "913 Emerson Street, Palo Alto, California 94301" can help you find the state plaque.